I first know about this movie from an article in Total Film Indonesia magazine. 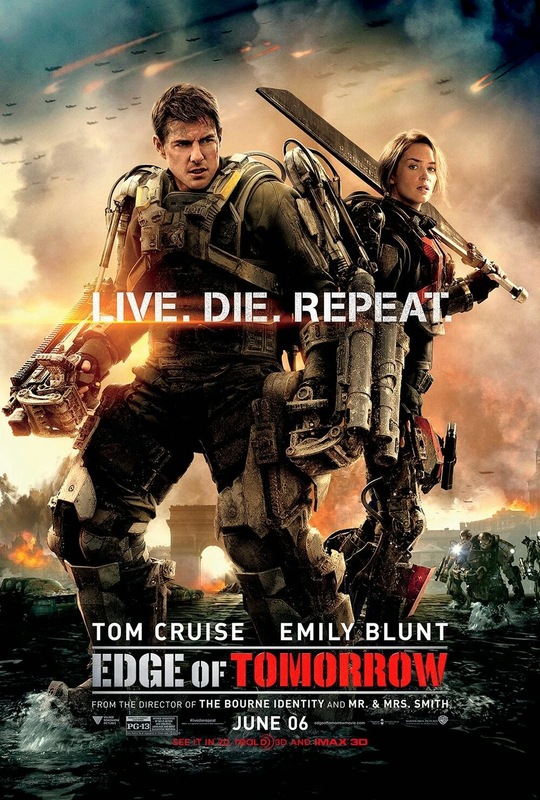 Edge of Tomorrow is a movie based on light novel by Hiroshi Sakurazaka, All You Need is Kill. I heard good reviews about this movie, that's why I watched it a month ago. Overall, I think this is a good movie. Tom Cruise is brilliant as usual. I also love Emily Blunt's acting in this movie. She's so cool as Rita Vrataski. The time-loop is not tiresome. The story is interesting and easy to follow, even thought it's deviate from the original story in the novel. Hollywood does love to made a happy ending for its movies. The music and cinematography is good. The visual and production design is also fine. I love the character development of William Cage (Tom Cruise) in this movie, how he turns to become a real soldier after die several times. He he he. The ending is what I want to complaint about this movie. It is too convenience, nothing specials and not convincing because as I previously stated, Hollywood does love a happy ending. But well, maybe we're all love a happy ending anyway.